On our second last day of spring break, Minal made sure that we woke up early to take LA Metro to Union Station. 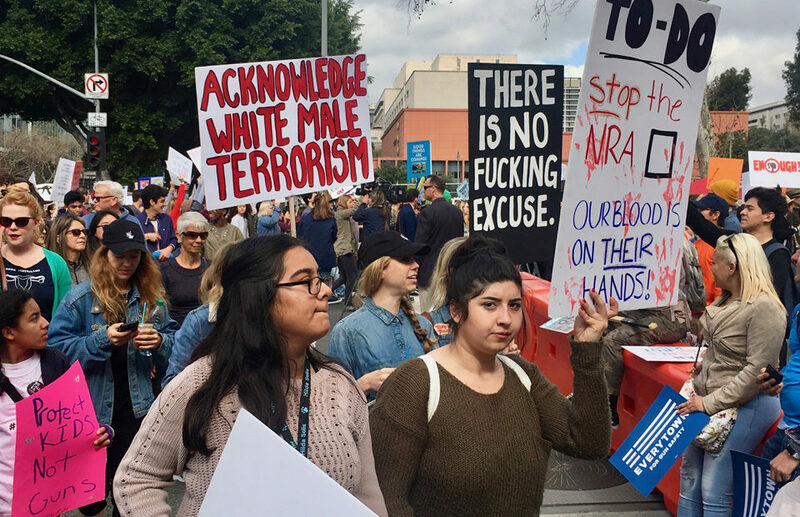 Once at the station, we joined a winding group of strangers who also held signs demanding gun control. 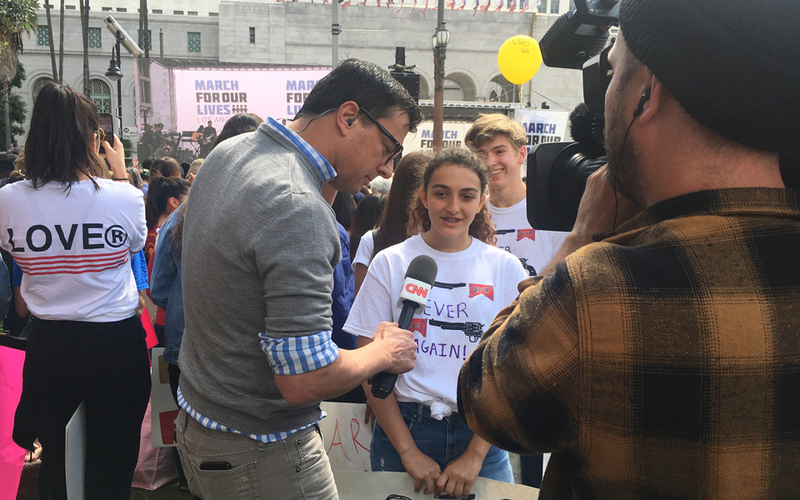 Upon arriving at LA City Hall, we converged with more than 50,000 teenagers, college students, infants, and parents who assembled for LA’s March for Our Lives. The morning’s lineup was unusual, filled with a stream of college and high school students, teachers, activists, and a few celebrities. Halfway through the morning, a CNN team converged in the corner where Minal and I camped out. The reporters and cameramen mostly captured images with their phones, but when Charlie Puth started his song “See You Again,“ the lead reporter tapped a college student’s shoulder – the back of her shirt read ENOUGH – and asked if he could interview her. As Puth performed in the background, the reporter held the microphone toward the student and asked her some questions. The interview as the song concluded. Minal nodded. “Me too,” she said.